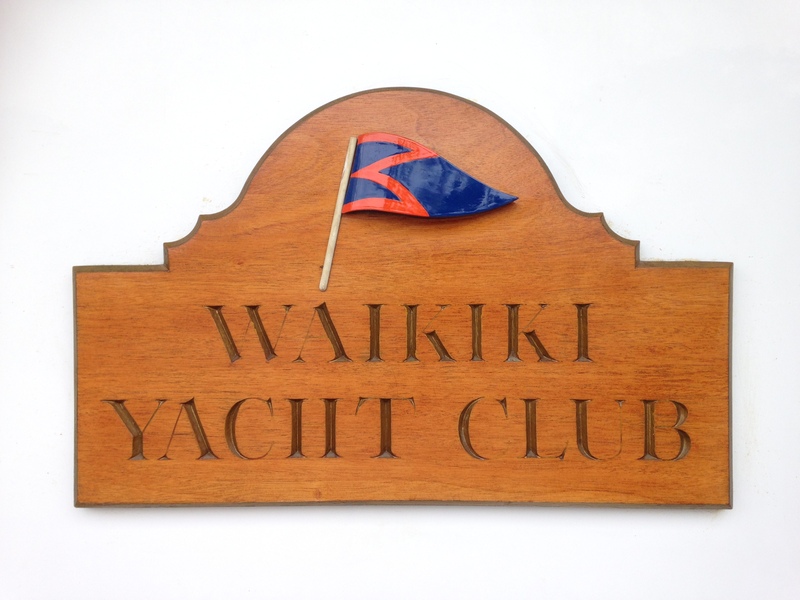 I’m here in the legendary and very hospitable Waikiki Yacht Club. I am happy and very lucky to be here with my MaryLou and to have arrived safely. MaryLou and I have just enjoyed a coffee and fresh breakfast prepared by chef Jasmine. I’ve been for an early morning swim in the pool, which overlooks the boats and Ala Wai Boat Harbour. I’ve done my poolside yoga lying in the early morning sunshine. We’ll spend the rest of the day working on West Wind and preparing her for her 6 month stay in Hawaii. Thanks for all your welcoming comments. I have been a “Maui type” and have not been keeping up. What a feat of sailing. What a wonderful reunion for the two of you. Well done Glenn (and Marylou)! Hope you have a wonderful time together. Enjoy your truly human contact after all of the fish and birds only. Thinking of you both with fondness my friends. So happy for you both. Hope the work goes well on Westwind II. Bazz and Jules. So glad to hear you are safely ashore and with Mary Lou. I look forward very much to a good catch-up at the Penny Farthing soon. All the best Glenn. Will await your next voyage. Wow! So happy to see you together. Lovely photo. Glad all is well in your life. Thanks for taking along the many sailor hitch hikers. Yeah! Glad you made it safe and sound!…It’s been great to follow you on your journey. See you when you back to this island…aloha! Breathing a deep sigh of joy and relief, thinking of you two side by side in the sun. Welcome to Hawaii, Glenn. Will miss your posts until your next adventure. So glad you made it safely without more issues with those engine mounts.